In video footage from Sunday, three police officers arrive and interrupt the feeding program by removing 90-year-old Arnold Abbott, the Rev. Canon Mark Sims of St. Mary Magdalene Episcopal Church, and the Rev. Dwayne Black of the Sanctuary Church. A chorus of protest erupts from the crowd and follows the officers as they take the men to their patrol cars – “Shame on you, arresting an elderly man!” someone in the crowd says. “The whole world is watching!” says another. 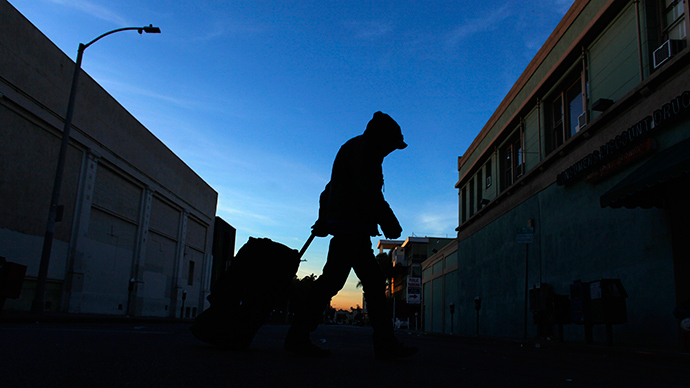 Officials describe the new laws as "public health and safety measures," but opponents have labeled them "homeless hate laws," according to The Sun-Sentinel. 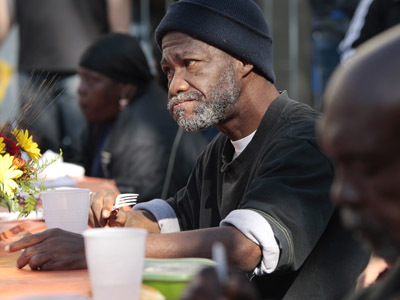 "We are simply trying to feed people who are hungry," Sims told The Sun Sentinel. "To criminalize that is contrary to everything that I stand for as a priest and as a person of faith." The latest ordinance follows others in Fort Lauderdale that banned the homeless from soliciting at the city’s busiest intersections, outlawed sleeping on public property downtown, toughened laws against defecating in public, and made it illegal for people to store personal belongings on public property. City officials say they are working to assist the homeless by providing housing to 22 people identified as chronically homeless, creating an outreach program run through the police department. Also included in the city’s new budget is $25,000 to give people a one-way bus ticket to reunite with their families. However, homelessness and those who volunteer to help them is being criminalized in towns and cities across America. 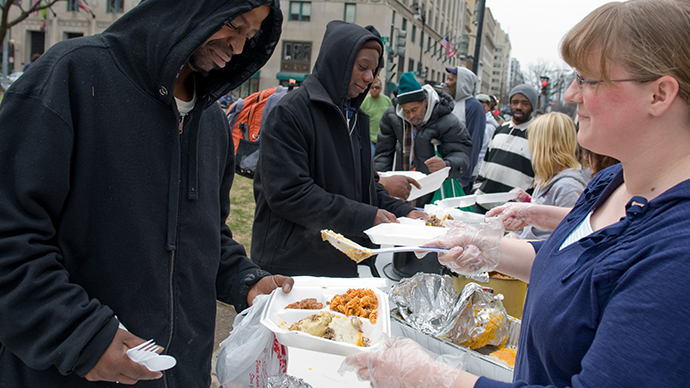 A report released by the National Coalition for the Homeless last month found that 21 cities have restricted sharing food with the homeless, and 10 other cities are in the process of doing so. Back in February, officials in Columbia, South Carolina, began requiring any group of 25 people or more to pay for and obtain a permit 15 days in advance if they wished to use the city’s parks for an event. This requirement was extended to non-profit groups and charities, though their fees would be smaller. 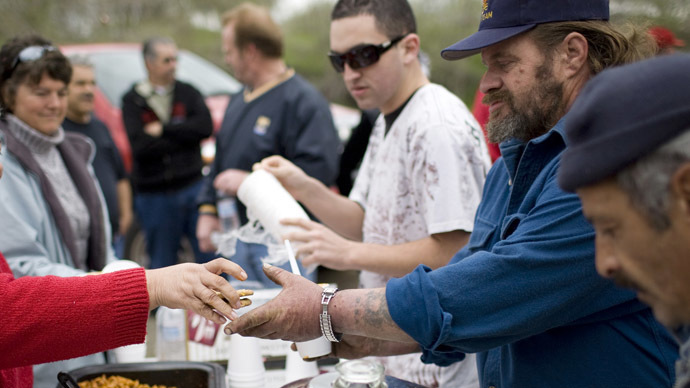 Those fees – as much as $120 per week – could not be met by some food programs such as Food Not Bombs, which has been sharing meals for 12 years. 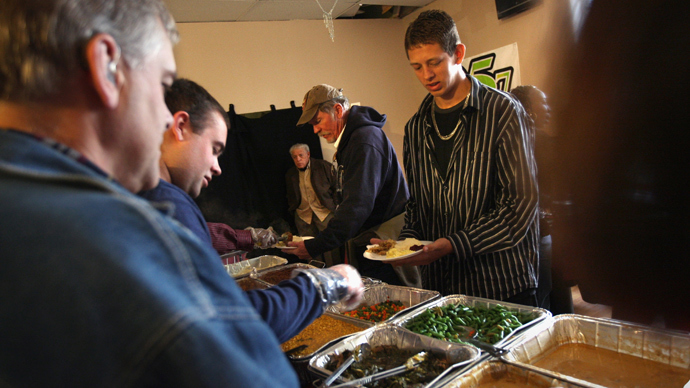 Last December, a church group in Olympia, Washington, launched a battle against a City Council proposal that would stop an outreach mission that feeds hundreds of homeless residents every week. Although the City Council passed the proposal, the group still continues to carry on its activities. The trend is to threaten citations and arrest to those who are trying to help.